Hoganamy | Hit the road, Jac! Yesterday Anna and I went into town again. We walked the Royal Mile in the Old Town. Our mission was to find somewhere nice for lunch. Anna had 4 places in mind. 3 were shut and 1 was ‘rammed’ (full). We ended up in this near to empty cafe which was really nice in the end. Free wifis which is always good! We walked all over Edinburgh yesterday! I bought a kilt. A purple one! Very excited. We came back to the flat to get ready for our big night out. We had dinner reservations at a really nice restaurant. 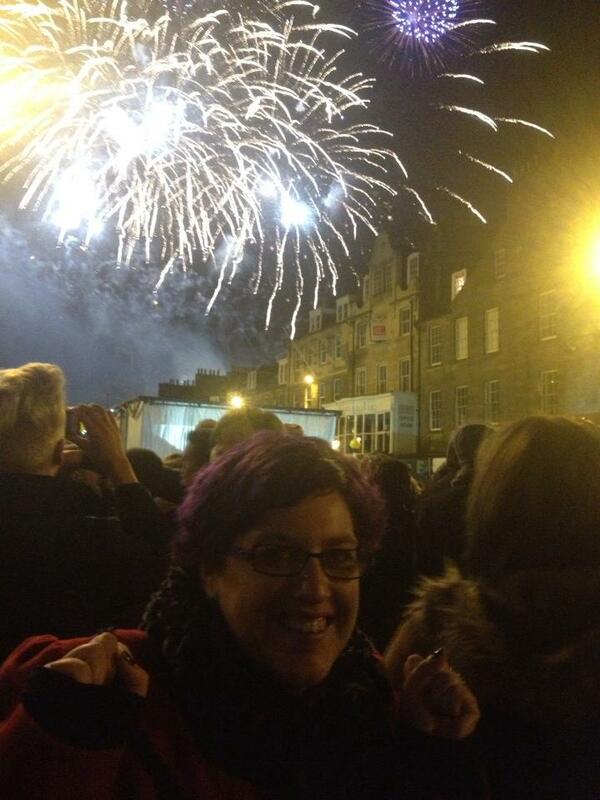 In Edinburgh on NYE they have the Hoganamy street party. Anna had heard that it’s not worth the £20 or therabouts to get in. 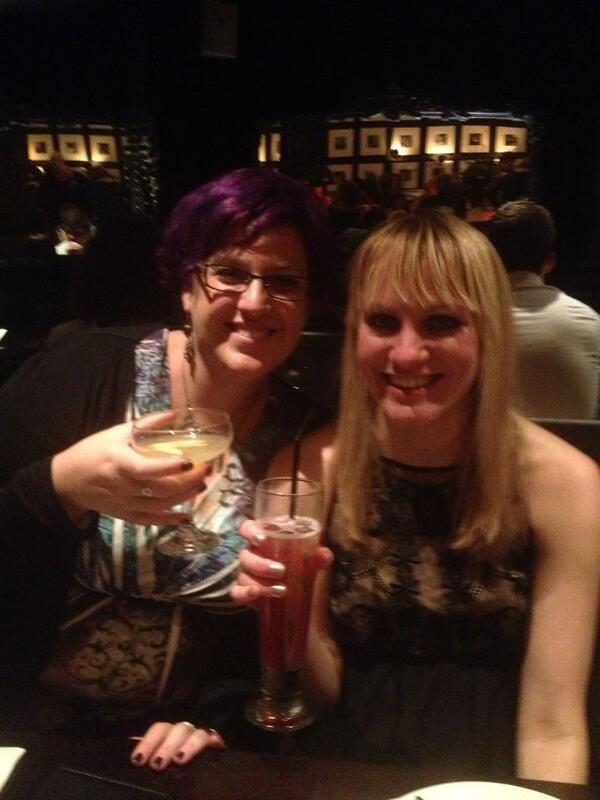 Our plan was to have dinner and cocktails, hit the pubs and maybe go to a gay club for a dance. What we didn’t realise was that they basically close down the city centre making it near impossible to get anywhere! We caught a cab to the city centre but the cabbie charged us more than usual. We then took a wrong turn and became a little lost. So more exploration of Edinburgh for me! The dinner was lovely. I had an Apple Strudle Martini which was delicious. All apple and cinnamon vodka goodness. We had great laughs. Then we wandered up to Rose Street to where all the pubs are. We ended up in this dingy “grim” type of place. We had one drink and it was time for the fireworks. Again, we were foiled by the city being closed off all over the place. We made it to a great vantage point however to witness the most spectacular fireworks I have ever seen. We decided it was time for a boogie. Anna was distracted along the way by her favourite bar: 99 Hanover Street. It was like being inside a magazine. The most beautiful and stylish people in an Art Deco type bar. There was a guy that looked like Andy Warhol who some people were going up to talk to. He was most definitely famous but we had no idea who he was! We walked up to GHQ, Edinburgh’s best gay bar (apparently). Lots of boys in kilts. 🙂 The DJ played Gotye and I lost my crap. It was so surreal dancing to Gotye in Edinburgh! I requested Sia and David Guetta’s Titanium which made me miss my girl. Such fun though. Suddenly it was 3am and I was ready to leave. The taxi rank had at least 50 couples waiting and no cabs in sight. Anna assured me that if we started walking we would most likely find a cab along the way. So we walked. And walked. And walked! It was freezing!! Anna was wearing heels and I still don’t know how she managed to stay upright on the cobbles. It took us exactly an hour to walk home. It was painful, cold and long but we remained laughing the whole way. Today we got up really late and went into town to do a sightseeing bus tour. As we rode the double decker bus around the city I could not keep the grin off my face. This is the most beautiful city I have ever seen. Most of the buildings date back to before white people ‘discovered’ Australia. I’ve been here 3 days and my mind is still reeling at Edinburgh’s beauty. You must excuse my lack of exciting adjectives-I am exhausted! Believe me, it’s beautiful! After the bus tour we walked into the old town to The Elephant House cafe where JK Rowling wrote the first Harry Potter. Elephants AND Harry Potter AND coffee…my idea of the perfect place! `the bathroom walls were covered in quotes from the books and messages of thanks to JK. Very very cool. I added my own to the wall. Tomorrow I am flying to Cardiff to meet up with Lewis and Niamh. Sad to say goodbye to Anna but looking forward to the next installment on my big adventure! This entry was posted in Uncategorized on January 1, 2013 by jacaleee.